The 30 meter long, 233 dwt tugboat Svitzer Myall allided with a pier at Newcastle, Australia. The tug was damaged and suffered water ingress. 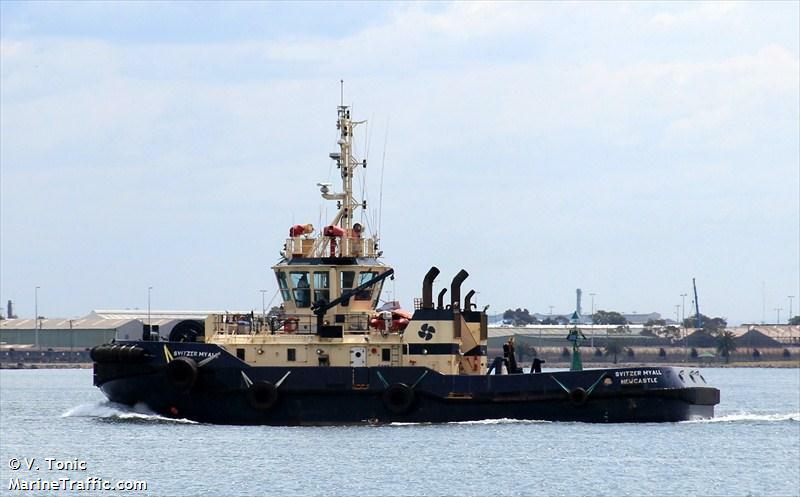 Other tugs in the area assisted the Svitzer Myall back into port. No reports of injuries or pollution released. Reports state the cause of the allision was due to a technical fault. The ro-ro cargo vessel Maria Angelica Grace capsized and sank near Mandaue City, Philippines. The vessel had moored at a pier when a larger vessel passed the dock. The resulting wake caused the vessel to list and lose stability. No reports of injuries to the 18 crew and 7 drivers who were on board at the time. There were several trucks loaded with cargo of rice and sugar in the hold at the time of the incident. The Coast Guard responded to the scene and placed booms around the Maria Angelica to contain any pollution released. Reports state there was some 8,000 litres of diesel fuel on board .